These holders allow you to add weights to your knuckles on your MRC or Slickrock based crawler. Compatible with many popular knuckles, with more options coming soon. If your knuckle is not listed, please visit the CONTACT page to submit a request. Includes (2) 4-40 BHCS to hold the holder to the knuckle, as well as (2) M3 SHCS to attach the knuckle weight. 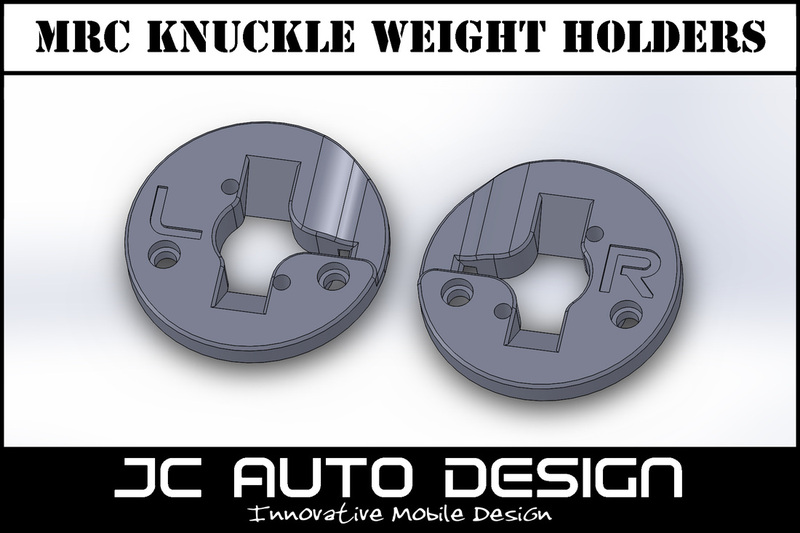 Weights are NOT included, and are designed to work with the RCBros knuckle weights (half and full weights). Other options will be added soon. Note - These will not work will all wheels. Your wheels will need to have a minimum clearance of 40mm for the weights to fit. 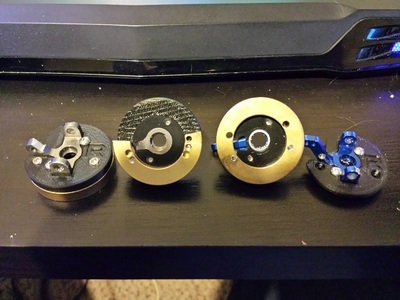 Also, your offset will determine how thick the weights can be. 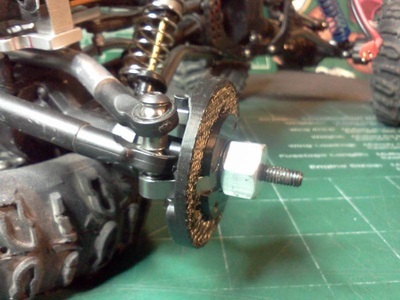 A typical Axial 1.9 Beadlock with Losi 8mm hexes will clear the .25 weights.